Insightly CRM provides a way to manage projects and track contacts, communications, sales, projects, tasks and documents in a single platform. 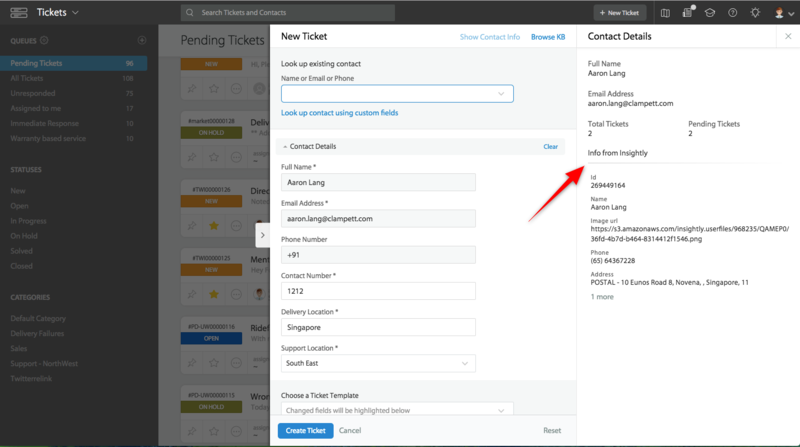 View Insightly contact information in HappyFox ticket-detail and new-ticket form. Push HappyFox ticket information as either Contact Notes or Organization Notes to Insightly. Go to Apps >> CRM >> Insightly. Click Install. In the subsequent screen, you will be asked to provide "Authentication token". Log in to your Insightly account. Go to Profile >> User Settings and find "API key". The API key is your authentication token. Click "Save" to enable the integration. 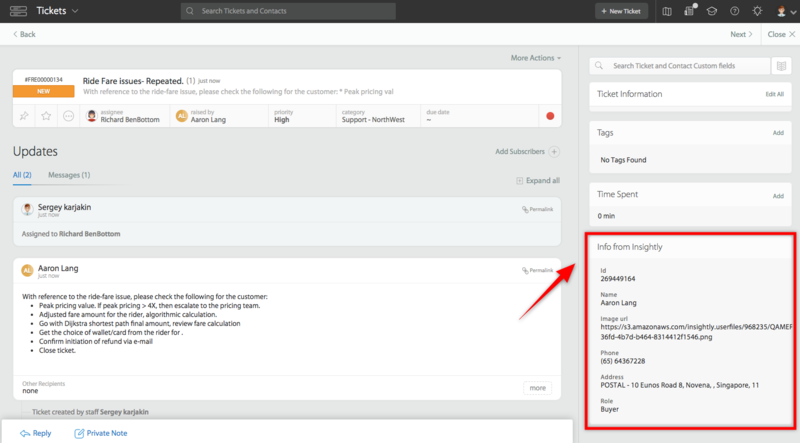 Click Manage, then Enable "Push Ticket Information to CRM". 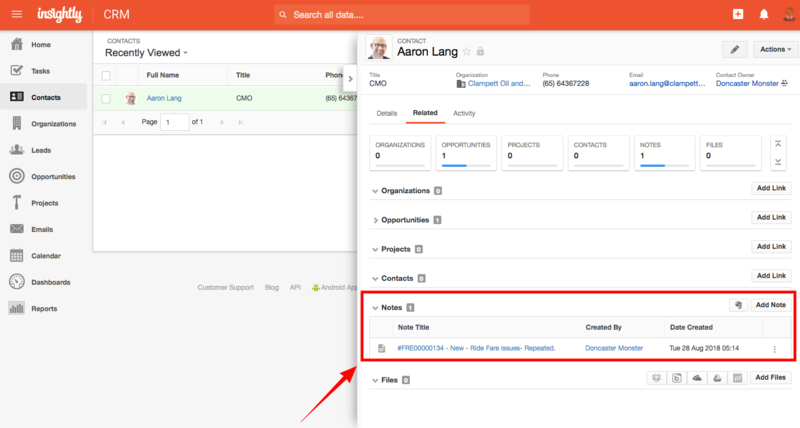 You can choose between "Organizational Notes" and "Contact notes", for the corresponding information to be stored as, inside Insightly. Only One CRM app can be active in your HappyFox account. If you would like to try out other CRM apps, you have to disable Insightly app first. To temporarily disable the app, click "disable the app" link inside "Status"
To know how Insightly Integration works with HappyFox Classic, please refer to the document attached.